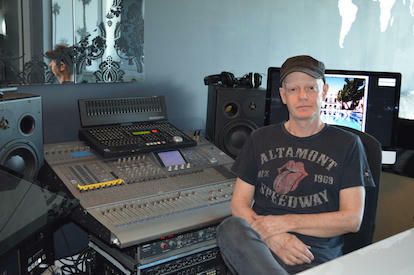 When Mark Howard was a teenager growing up in Hamilton, ON, his high school councilor predicted he’d be “nothing but a criminal.” Instead, Mark has enjoyed a legendary recording career, engineering and producing classic albums by Bob Dylan, Neil Young, Tom Waits, REM, U2, Red Hot Chili Peppers, The Tragically Hip, Lucinda Williams, and many more. But in recent years, Mark has been battling for his life. In 2017, he was diagnosed Stage 4 melanoma and the time since has been more than challenging; however, thanks to some groundbreaking immune therapy research by a doctor at the Princess Margaret Cancer Centre in Toronto, things are looking optimistic for Mark. To give back, he has organized a star-studded charity concert for Oct. 6 at Roy Thomson Hall in Toronto, which will feature Randy Bachman, Sarah McLachlan, Sam Roberts, and more. Learn more and get tickets at: www.roythomsonhall.com/tickets/mark-howard-grand-concert/. In this in-depth interview, Mark takes us through his entire career, and he isn't shy about sharing some very entertaining behind-the-scenes stories, like the time Daniel Lanois smashed a dobro in the studio out of frustration with Dylan, or when Mark got Neil Young back on marijuana.